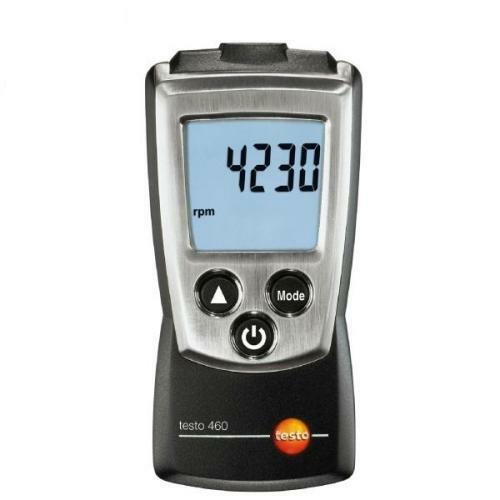 The Testo 460 optically measures rpm, e.g. of ventilators and shafts. The measurement spot is displayed on the measurement object with an LED marking. Maximum and minimum values are displayed directly at the press of a button. The backlit display allows the measurement values to be easily read out, even in unfavourable light conditions.